The Sterling Looper is a table top, semi-automatic double loop wire binder. Place a card of cut lengths of wire into the feed tray and it will automatically feed one piece of wire at a time for hanging. Then move the book to the closing station to close the wire. 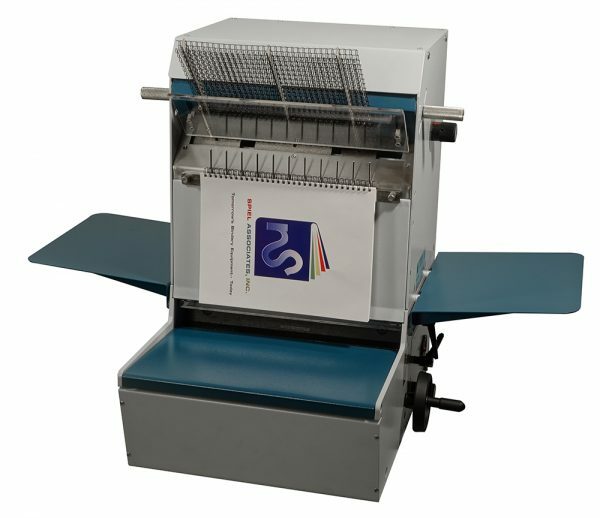 Speeds of up to 600 books per hour can be attained on this unique wire binding machine. Get into the loop and speed up your wire binding at a cost any shop can afford.